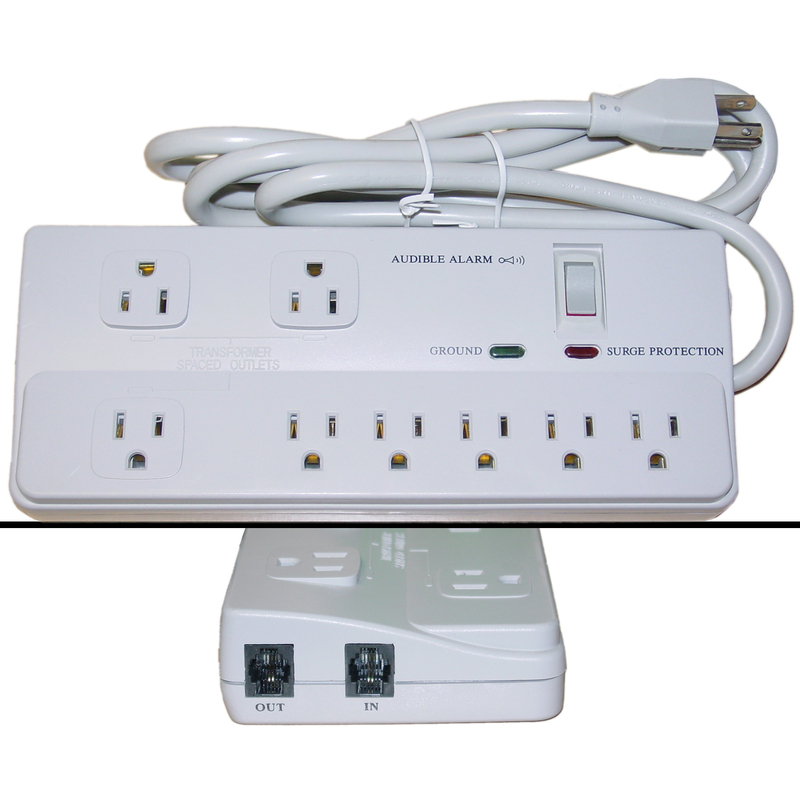 More Product InfoThis professional eight-outlet surge protector includes protection from surges and spikes for your Internet modem or phone/FAX. Disappointed it did not have USB charging ports. So I had to buy another one. CableWholesale Response: It doesn't say anywhere in the product info that it comes with USB charging ports. Sorry that you thought they would be included. I wanted to have at least 8 plugins along with the phone line protection..and this item fills the bill, it's actually not as bulky as my old one which makes it even better! Thanks for a great product! I like the layout of the plugs and the price. Great to have the extra outlets spaced out, great value. Reasonable price. I have recommended CW to several people over the years. If they have what I need, I don't look bother to look elsewhere. I've purchased many items from CW over the years and I am always pleased with the service and quality I have received from them.